TeamViewer is one of the most widely used applications for remote control, desktop sharing, online meetings, web conferencing and file transfer between computers. TeamViewer supports Microsoft Windows, Mac OS X, Linux, iOS, and Android operating systems. Download the latest version (v13) of TeamViewer from the official website. Install TeamViewer using the apt command. Ubuntu 18.04 / 17.10: Activities >> Search for TeamViewer. 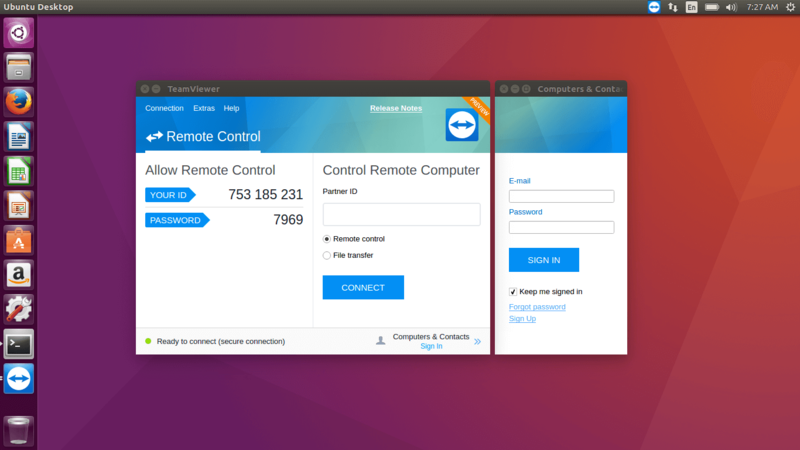 Ubuntu 16.04: Dash >> Search for TeamViewer. 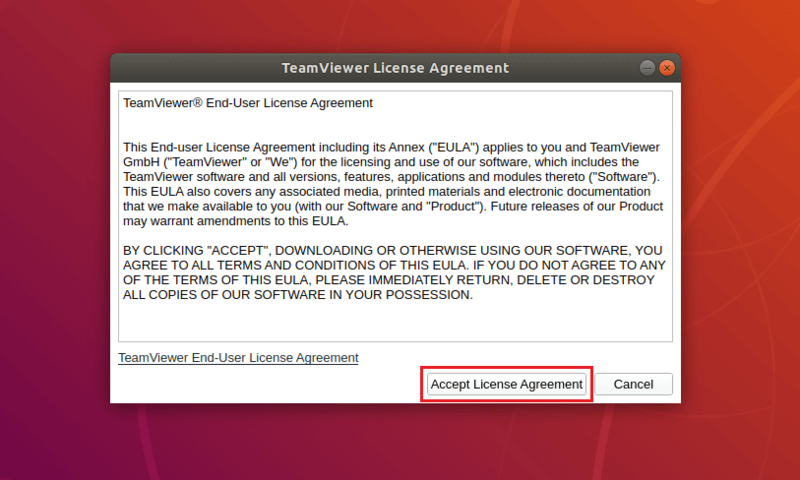 If you are starting the TeamViewer application for the first time, then you would need to accept the License Agreement. You should now get a TeamViewer window with ID and Password. That’s All. 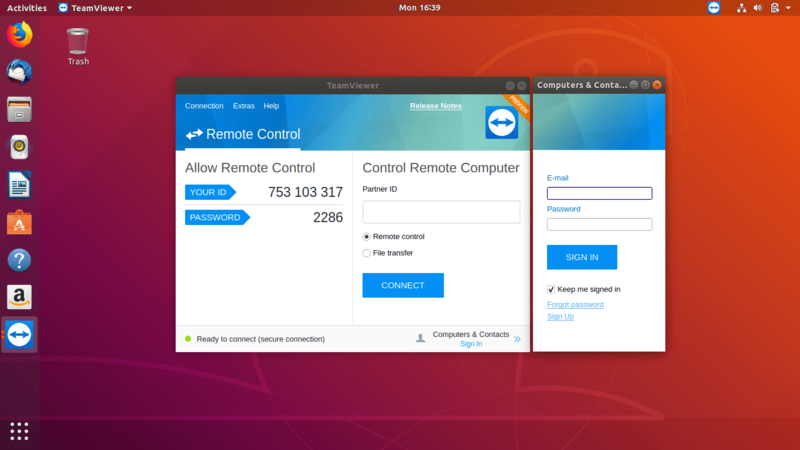 You have successfully installed TeamViewer on Ubuntu 18.04 / Ubuntu 16.04.